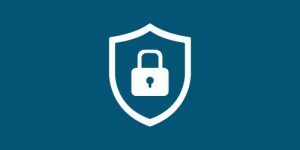 The VPN Lab - VPN Guides - Safety Guides - Is ExpressVPN Safe? ExpressVPN is considered one of the best VPN providers in the world. The company promises first-grade security, anonymous Internet use, and access to any site on the Web. Sounds like a dream come true! But is ExpressVPN as safe as they claim? ExpressVPN is very serious about providing their users with high-quality VPN service, which allows for a much smoother browsing, streaming, and torrenting experience. With over 1700 ExpressVPN servers in 145 different locations over the globe, geo-blocks are a thing of the past. You can open Facebook in Shanghai or watch Netflix in Abu Dhabi, as ExpressVPN gives you complete freedom in using the Internet. ExpressVPN also offers top-of-the-line encryption, protecting all your data with the strongest AES-256 cipher with RSA-4056 handshake and SHA-512 HMAC authentication. This encryption setup, which is currently completely unbreakable, is the safest on the market and probably an overkill if you ask us. ExpressVPN supports all the major protocols as well, including OpenVPN, L2TP/IPSec, SSTP, and PPTP. We recommend going with OpenVPN since it provides better protection compared to its outdated counterparts. ExpressVPN also offers an automated kill switch in case your VPN gets compromised and disconnected. ExpressVPN provides you with freedom and safety, that’s why. Like other VPN providers, ExpressVPN masks your IP address, so no one can track you down by simply following your Internet steps. They have a strict no-logs policy, which means there are no steps to follow. Not a single piece of data can prove that you’ve been visiting a certain website. Moreover, ExpressVPN encrypts all the data you send, upload or download, so absolutely no one can know what you are doing online. You can browse the Internet, watch your favorite shows or send files without worrying that anyone will track your online activity. Also, ExpressVPN is extremely user-friendly. 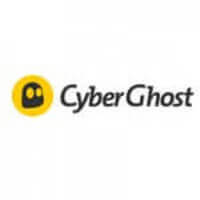 The client is quite simple and easy to use, so you’ll be invisible and fully protected in just a couple of clicks. Even if you’ve never used a VPN before, you’ll get the hang of it in no time thanks to the intuitive interface and detailed instructions, which you can find on the site. With ExpressVPN, you can protect up to 3 devices simultaneously. This means that not only your computer will be safe but also your phone and tablet. But that’s not all! ExpressVPN also gives you the opportunity to secure all your devices. If you get ExpressVPN router, any device that connects to your Wi-Fi network automatically connects to ExpressVPN too. 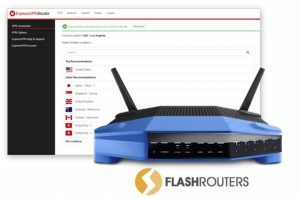 Purchasing ExpressVPN router is probably the safest way to use the Internet nowadays, as all your devices will be protected, as well as the devices of anyone who uses your Wi-Fi. Finally, ExpressVPN has professional customer support that is available 24/7, so you can contact them via live chat or send them an email if you have any problem whatsoever. Want to learn more about ExpressVPN? Check out our detailed ExpressVPN review.